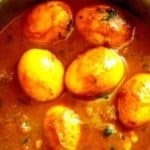 How to Make Chicken Curry? Is it a big question mark for you? 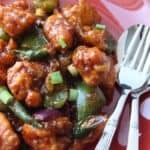 Then, today I am sharing best and easiest way to make this dish for you. 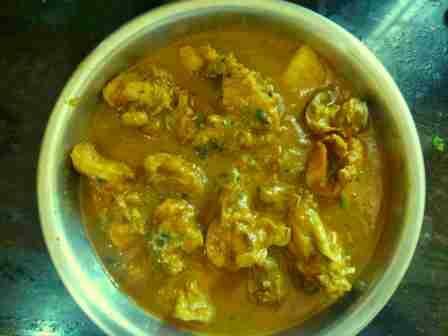 Chicken curry is one of the best delicious food recipe in Indian sub-continental. 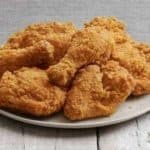 If you are an Indian people then you may know, there are different types of traditional chicken and chicken curry recipes available in India like chicken tikka, chicken masala, tandoori chicken, North Indian Chicken curry, South Indian style chicken curry, chicken chop or fried chicken recipe etc. In this blog I am sharing how to make traditional North-Indian chicken curry recipe. First of all, wash the chicken well by water. Take a heavy bottom pan or kadai and heat it with medium flame. Pour oil in the pan and heat. After enough heat the oil add cumin seeds, cinnamon stick, bay leaf, cloves, and cardamom and saute for a minute. Now add onion and saute for 3-4 minutes, till golden brown. Add ginger-garlic paste and toss continuously for 3-4 minutes with low flame. Add salt, turmeric powder, chilli powder, cumin powder, garam masala, chicken masala and toss well. Add chopped tomatoes and saute for 2-3 minutes. Now add chicken pieces and increase the flame medium to high and saute for 7-8 minutes. Add 2-3 cups water and cover the pan and boil it for 10-12 minutes or untill the chicken pieces are cooked well. Uncovered the pan add 1 tsp garam masala and coriander leaves and mix throughly. Turn off the flame and transfer it to serving bowl. Finally, delicious chicken curry is ready to serve. Take a heavy bottom pan, pour oil and heat. Add bay leaf, cinnamon, cumin seeds, cardamom and cloves and saute it for 1 minute. Now add onions and saute it for 3-4 minutes. Add ginger garlic-paste, salt and saute for 2 minutes with low flame. Now add turmeric powder, chilli powder, cumin powder, garam masala (1 tsp), chicken masala and mix well. Then add chopped tomatoes and saute it for 3-4 min. Add chicken and increase the flame to high and saute it for 7-8 minutes. Now add 2-3 cups water and cover to boil. Heat the covered chicken for 10-12 minutes of untill it cooked well. Uncover the pan and add 1 tsp garam masala and coriander leaves and mix through. Your favourite chicken curry dish is ready to serve.